Born to Buy: SPRING/SUMMER TREND TUESDAY: Wrap It Up! Whilst I'm not a fan of a headband over hair (for example, the second picture above), I'm often seen wearing my hair up in a headscarf bought from Equip. 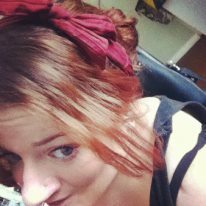 I have these headscarves in a number of different colours and, at under $10.00 each, I think they were definitely worth the price. In saying that, I wear my maroon one more than any other. Why do I wear a headscarf? Sometimes it's to accessorize a simple outfit. Other times it's because I'm being lazy or I need to wash my hair. Often it's just because I can! I know this isn't exactly 'on trend', but I had to include it. The second photo was taken when I volunteered at a fluoro dance party at my local youth centre. And yes, I know I said I'm not a fan of headbands over hair but hey, it was all in the name of good fun! So, tell me, do you like to wrap it up? 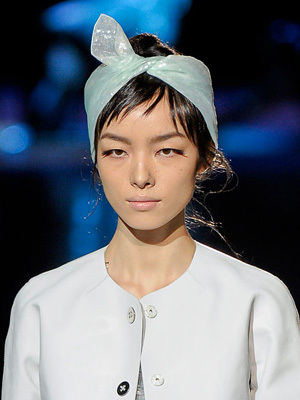 What's your favourite way to wear a head scarf? 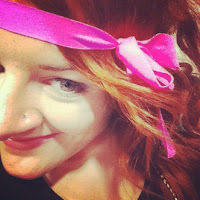 In fact, what's your favourite way to wear any hair accessory? Also, I'm running out of Trend Tuesday ideas. Please help!